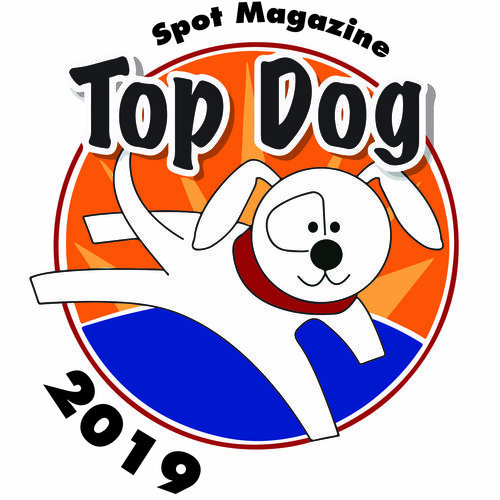 Jeff Slaughter, groomer and owner of The Muttley CrewLast fall, about the time the Spot crew was busy counting Top Dog ballots, Jeff Slaughter was marking his 31st anniversary as a dog groomer. Answering a Help Wanted ad in Dog Butler Magazine at age 15, the future owner of Muttley Crew couldn’t have seen the success and adventures in store. After learning the ropes under a master groomer in Aspen, CO who specialized in Standard Poodles, Slaughter opened his first shop at age 18 in Denver. How did he get to Oregon? Simple, Jeff explains, “I got to Oregon via Florida.” In the late ‘80s he closed up his Colorado establishment to do some consulting in Key West. A friend kept telling him how wonderful Portland was and that he should leave the tropical weather and ocean for the beautiful Pacific Northwest. After an exploratory visit in 1989, Slaughter did just that. He landed a grooming job in Cedar Mill and eventually opened his own shop – The Pet Spa – in Cedar Hills Mall. Construction at the mall upset his furry customers so he moved into a 350 square-foot space he leased from Pet Barn. After 12 years he realized the business was outgrowing the space. “We were just overwhelmed,” says Slaughter. Customers were also lobbying for daycare facilities. Just blocks away, Slaughter found an abandoned bakery and decided to make the move. Muttley Crew, Slaughter’s fifth independently-owned grooming establishment, opened in 2006. The old former bakery now has room for grooming, daycare, bathing, and retail space. “I’ve been grooming in the area for 20 years — some customers are on their fourth or fifth dog with us.” A Certified Master Groomer (CMG), Slaughter is not only proud of the work he does, he’s also proud of his hand-picked staff. His lead groomer, Martine Rohfling, has worked with him for 12 years — since she graduated from grooming school. Lori Goudy, a CMG, has 20+ years’ grooming experience and loves working on Spaniels. 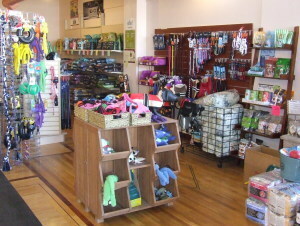 Slaughter stresses that owners can request their dog be kenneled, and that all canine customers must be fixed, vaccinated and well-tempered. While the diversification into retail (100% grain-free dry & raw food), pet massage, and the 2900 square-feet of daycare space is impressive, perhaps Muttley Crew’s most impressive service is cat grooming. This this year the ’Crew ranked “Top Dog” in Cat Grooming. Contact Muttley Crew at 503-626-8212, 1-888-MUTTLEY or by email. Or on the web: www.TheMuttleyCrew.com. 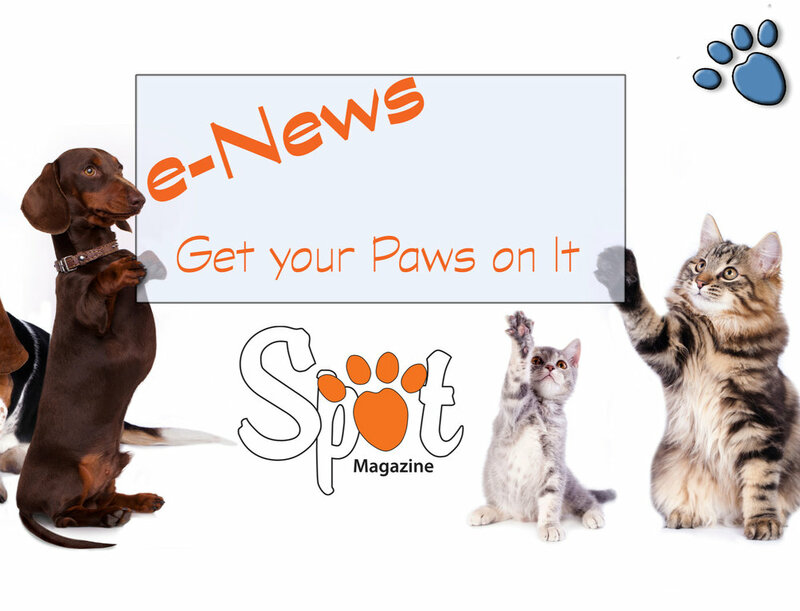 Posted in Health/Wellness, Pet Biz and tagged with Grooming. January 1, 2010 by Jake Faris - Spot Magazine.